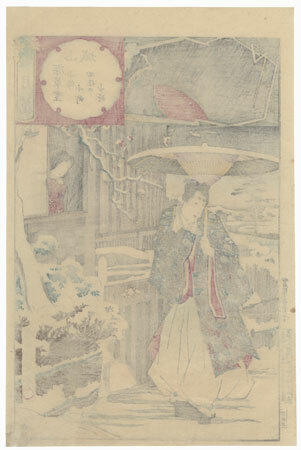 Yamashiro, Snow at Fukakusa, Ono no Komachi and Shii no Shosho, No. 23 - Wonderful scene of the love struck young Shii no Shosho, waiting outside the window of the famous poet Ono no Komachi. 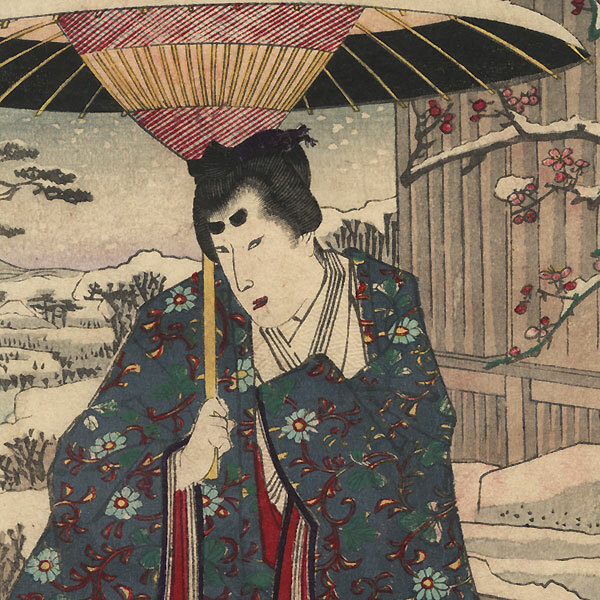 He vowed to travel from Kyoto to Fukakusa each night for one hundred nights, through rain and snow, to earn the opportunity to meet with the object of his affection. Sadly, he died on the final night of his pilgrimage before he was able to meet the passionate young beauty. Here he stands quietly in the show as the poet peeks out her window at him. 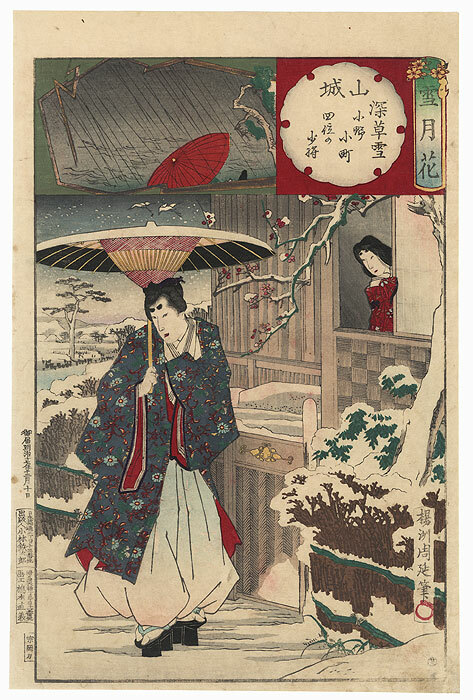 The inset above shows his umbrella during a rainstorm, framed by jagged lightning. A terrific image from this tragic love story, beautifully drawn and colored. Condition - This print with excellent color and detail as shown. Slight toning, soiling, and offsetting, a few creases and spots, slight rubbing at edges. Please see photos for details. Good overall.